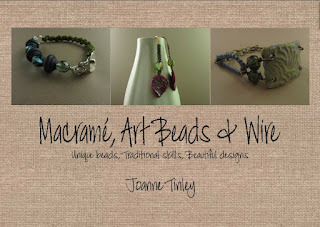 Joanne Tinley has just released her new e-book, Macrame, Art Beads & Wire, and for those of you looking for a fun and easy way to learn to incorporate macrame into your jewelry making, this book is a must-read. I've had a chance to look through the book and I really like it. 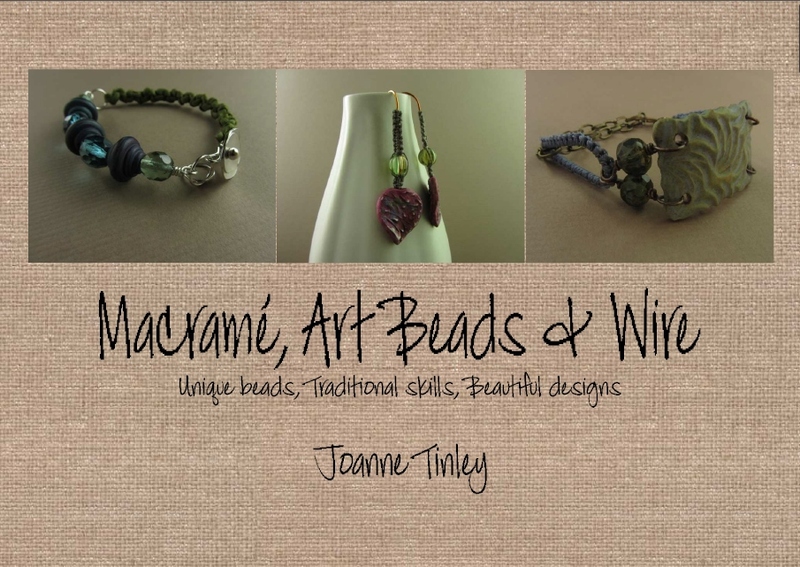 Joanne covers knotting mediums, tools and terms. She demonstrates some different knots and then (and this is the best part) gives you six projects to make using macrame in combination with art beads and wire. 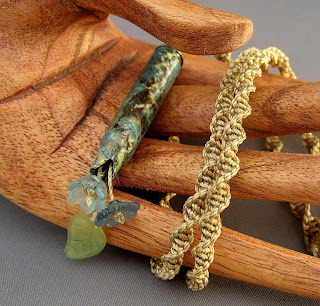 The projects look easy enough for someone with little jewelry making experience (you do have to know how to make a wrapped loop) and the resulting pieces are trendy enough for seasoned pros looking to incorporate fiber and texture into their designs. If that's not enough, she has included a gallery with photos of pieces from six different designers - and I'm included (no, I'm not getting any monetary compensation). You can find the book for sale on Joanne's website or her Etsy shop. Hint: while you're there, take a look at her metal components. I'm in LOVE with her clasps. Cool! I'll definitely check out her e-book. Thanks for the heads up.